The film is about two friends, George & Harold, who spend their time making comic books. One day they hypnotise their nasty principal into thinking he is the dimwitted superhero from their comic books, named Captain Underpants. This film is hilarious and Bob loved it! Bow enjoyed it too and he was quiet for almost all of it which I was very surprised about. When Captain Underpants gets wet he changes back into the principal and he is always shocked to find that he has lost his trousers! 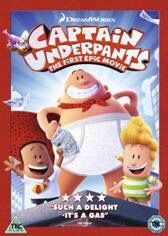 To celebrate the release of Captain Underpants I have two copies of the film on Blu-ray to giveaway. There are many ways to enter using the Rafflecopter below. Good luck! 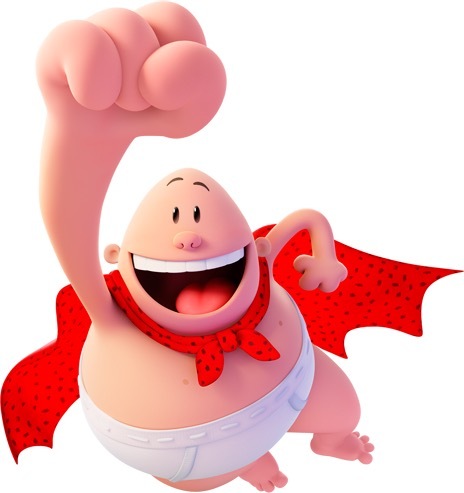 DreamWorks Animation’s Captain Underpants: The First Epic Movie is available now on Digital Download, Blu-ray™ and DVD, from Twentieth Century Fox Home Entertainment. Our favourite Christmas family film is Home Alone! My favourite family film is The Lion King. Our favourite film is Jingle all the way! My favourite family film has to be Mrs Doubtfire! I love most of the Disney films. don’t really have a favourite!